Sonora Florist is a local full-service florist proudly serving the Sonora, Kentucky area since 1979. We hope you enjoy your online shopping experience with secure 24-hour ordering right at your fingertips. If preferred, you may call us to place orders direct at (270) 369-7284. It is our pleasure to assist you with any local, as well as worldwide deliveries and remember that corporate accounts are always welcome. Not sure what to send? We'll gladly help you with creative suggestions. Whatever the occasion, one of our talented designers can create an eye-catching arrangement of flowers for you! Choose from traditional and contemporary floral designs that are perfect for any occasion…birthday, get well, anniversary or just because. Sonora Florist is conveniently located at 212 Main Street and we deliver to all local funeral homes and hospitals, for your convenience. 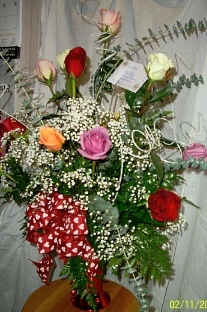 With Sonora Florist designing the bouquets and floral arrangements, your special day is sure to be a blooming success!! Call us in advance and make your appointment for a consultation with a designer or event coordinator. Ask our staff about customizing a floral tribute to a departed friend or loved one. We can design and deliver funeral flowers that beautifully convey your expressions of sympathy and serve as a lovely memorial to the deceased. Browse our assortment of dish gardens, green plants and blooming plants for a gift that adds life to any room or office. 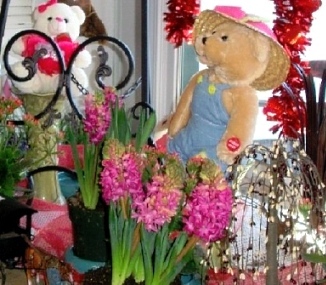 We are stocked with an assortment of unique items, including candles, potpourri, bath products, gift baskets, silk and dried arrangements, home décor items, antiques, Princess House china, Ty® plush beanies, greeting cards, wind chimes, Amish gift baskets, quilts, aprons, purses, Willow Tree Collectibles, jewelry, angels and much more! 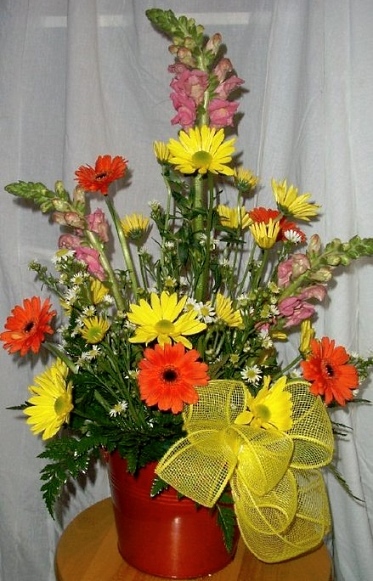 Thank you for visiting our website with flowers delivered fresh from your local Sonora, KY flower shop and convenient online ordering 24 hours a day! !